Speaker Hon. 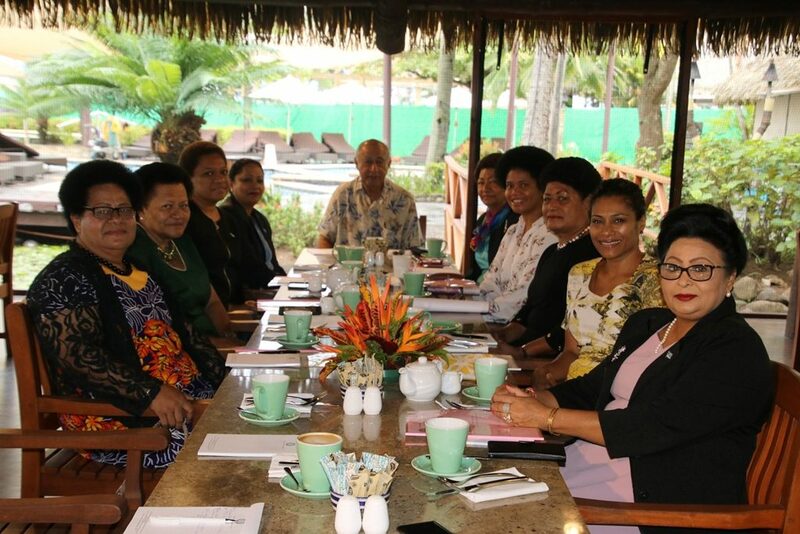 Dr Jiko Luveni is adamant that the Fijian Parliament is well-placed to champion the goal of gender-equality. 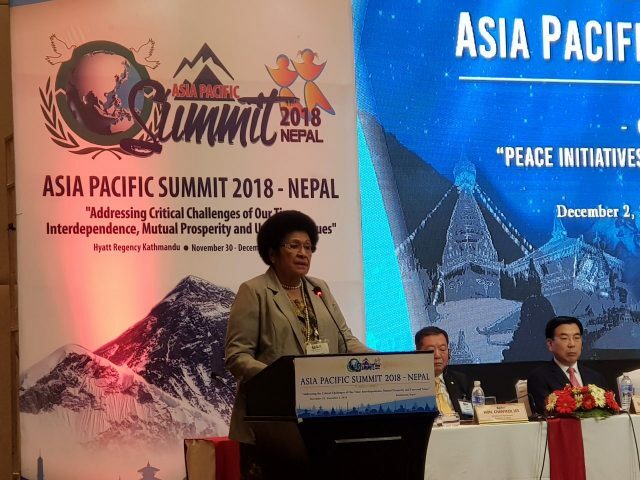 While addressing about 1500 guests from 45 countries at the 2018 Asia-Pacific Summit in Kathmandu, Nepal over the weekend, she said this was evident in the number of initiatives implemented by our Parliament. “We have initiated the Gender Parliament Committees and this is made up of all chairs and deputy chairs of the Parliament Standing Committees. This is to ensure that gender considerations are applied to all committee works and reflected in their reports tabled in Parliament,” Hon. Dr Luveni said. “Also, with the technical assistance by the Inter-Parliamentary Union, Parliament adopted a gender toolkit to assist committee members in conducting gender impact assessment on all pieces of legislation, including the budget. Hon.Dr Luveni also highlighted the active role that the Fijian Parliament was playing in terms further progressing the Sustainable Development Goals (SDGs). 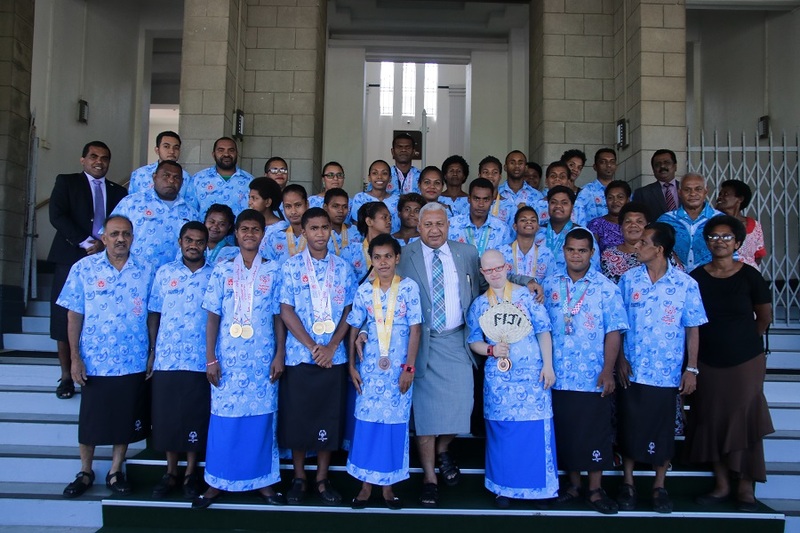 “On emerging development issues and SDGs, the Fijian Parliament has organised over 10 Speaker’s Debate with themes relevant to such goals. The debate is an opportunity for Ministers to update citizens on the progress made on the theme as well as the views of the Opposition and relevant stakeholders,” she said. Speaking on the Climate Change front, Hon. 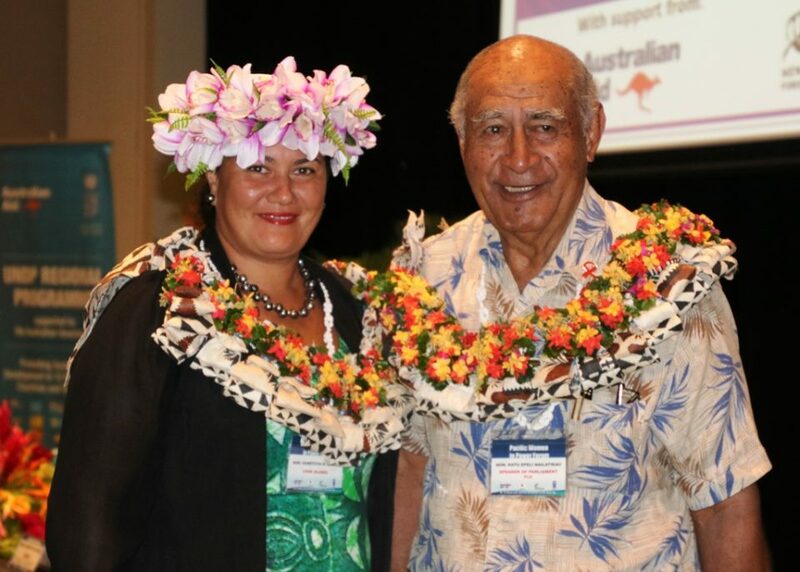 Dr Jiko Luveni added; “In October this year, Fiji was one of the five Small Island Developing States (SIDS) which submitted an emergency item resolution to the 139th IPU Assembly following the release of the IPCC Special Report on Global Warming of 1.5°C. The emergency item entitled; Climate Change – Let us not cross the line, was put to the vote and subsequently adopted unanimously”.